It?s election season in Nigeria. David Lawanson has just been nominated to stand for the governorship election in his state when he is tragically killed during a religious riot. His successor as nominee and the eventual governor pledges to leave no stone unturned in unearthing the evil forces behind the murder and invariably he succeeds in having the alleged leader of the fanatical group responsible jailed. However, in the cut-throat business of Nigerian politics, loyalties hardly ever run deep. The cordiality between the governor?s entourage and the family of the murdered candidate is soon replaced by a growing hostility between the two groups. From there unfolds the perplexing dynamics of a highly charged political climate, the end of which nobody foresees ? until it befalls. 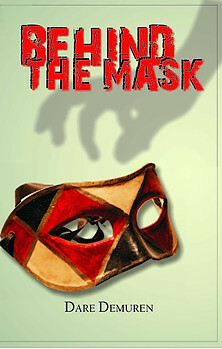 Behind the Mask is a story of Nigerian politics and politicians and the allure for power, money and beautiful women. This combustible mix becomes ever more explosive when a party leader makes a move on the beautiful partner of a junior politician. This is a gripping story that transports the reader into the unpredictable and often murky world of business and politics in Africa. DARE DEMUREN is a Medical Doctor. He was educated at Government College Ibadan, College of Medicine of the University of Lagos, Welsh National School of Medicine and University Hospital of Wales in Cardiff, where he trained to become a Radiologist. He has worked as a Consultant Radiologist in Lagos, Saudi-Arabia and Kuwait, and is at present a Consultant Radiologist in the United Kingdom National Health Service. His first novel, The Kingmaker was published in 2009, followed by The Long Road to Damascus in 2011.